A sophisticated design, a sporty character – and 591 horsepower! 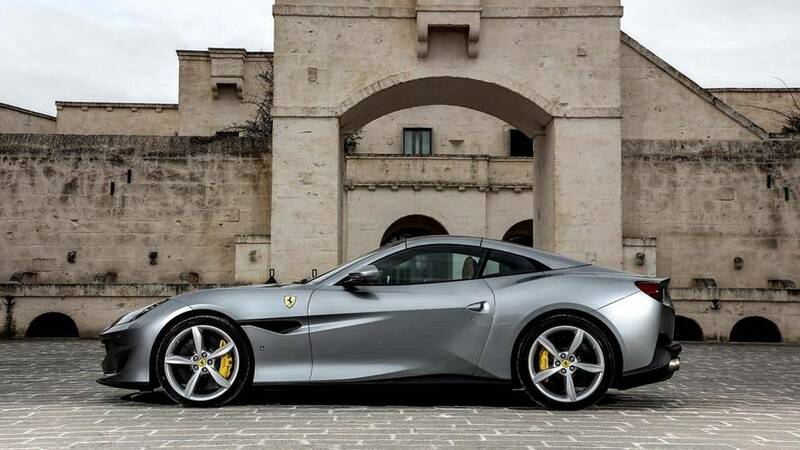 It might be intimidating to take the baton from the best-selling Ferrari ever, but not for the Portofino. This new car distances itself, classily but resolutely, from the California it replaces. The original California, an icon of beauty of style, was born at the end of the 1950s in Maranello and now sells at auctions for more than $20 million. The name came back about ten years ago with a new convertible, the California, that reached its final development in the T Handling Speciale. 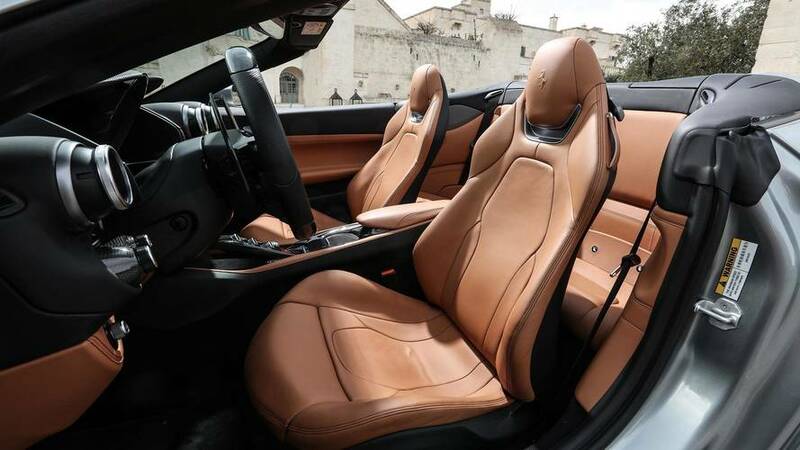 Now this gives way to the Portofino, the most powerful retractable-hardtop convertible in the world. 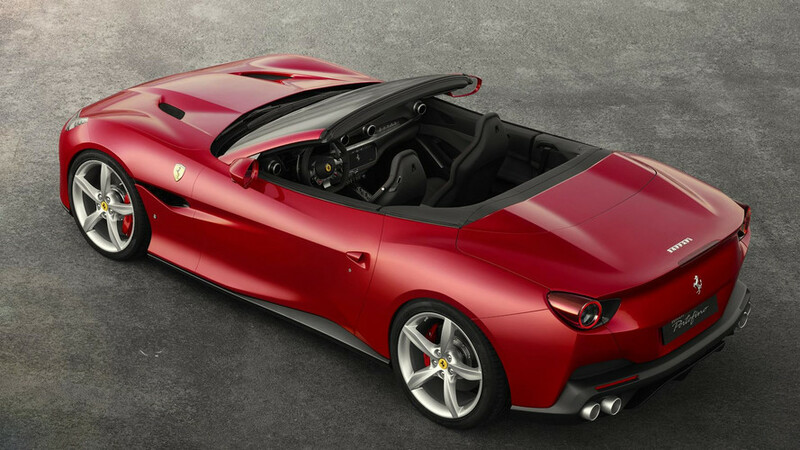 In just 14 seconds, the Ferrari Portofino is transformed from a very sporty and well-proportioned coupe into a racy and sleek cabriolet. 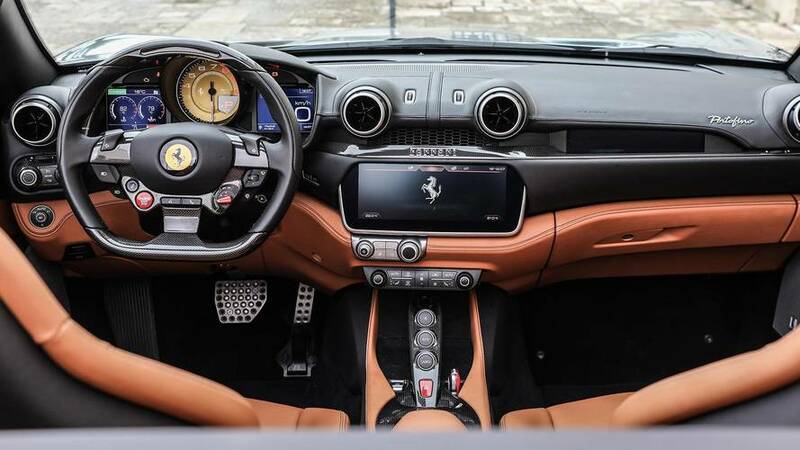 Its body was made unmistakably fascinating by the Ferrari Design Center, thanks to the intuition and talent of designer Flavio Manzoni, and is much more refined than the California. 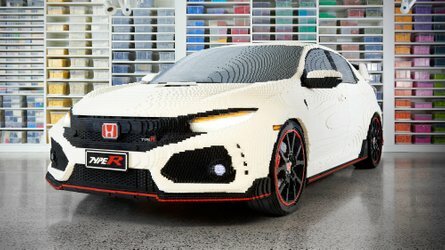 The full-LED horizontal L-shaped headlights now have an intake on the outside that blows air into the wheel arches, thus optimizing the aerodynamics. In the rear, the light assemblies were placed at the edges of the body, thus lightening the design of the rear, notwithstanding their sizes. 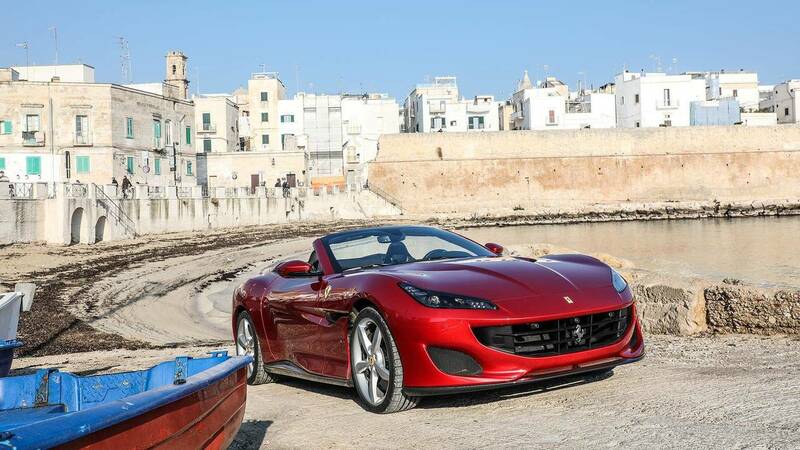 Check out what Ferrari owners themselves are saying about the Portofino at FerrariChat.com. The revolution continues inside, where there are no fewer than four screens. First, there are two TFT screens in the instrument cluster, which can be adjusted with the dedicated buttons behind the steering wheel. Then the 10.3-inch infotainment screen, featuring 3D map graphics, remains in the center, but the true must-have is now the 8.8-inch touchscreen for the passenger. The almost rectangular state-of-the-art steering wheel incorporates all the possible secondary functions, from the maps to the rear wiper and even the turn signals. But the real revolution is all about the front seats: they are much lighter, multi-adjustable, and, above all, exceptionally thin. In this way, they leave almost two inches more legroom for the two passengers in the back. The wind deflector is still present: it reduces airflow into the cabin by 30 percent, and thus cuts wind noise. The biturbocharged, 3.9-liter 90-degree V8 engine acquires 40 more horsepower, now reaching 591 hp at 7,500 rpm, while the torque is rated at 560 pound-feet from 3,000 to 5,250 rpm. Some of the changes compared to the California T: new pistons and connecting rods, an optimized forced induction system, a new exhaust manifold, and Variable Boost Management of the turbocharger. 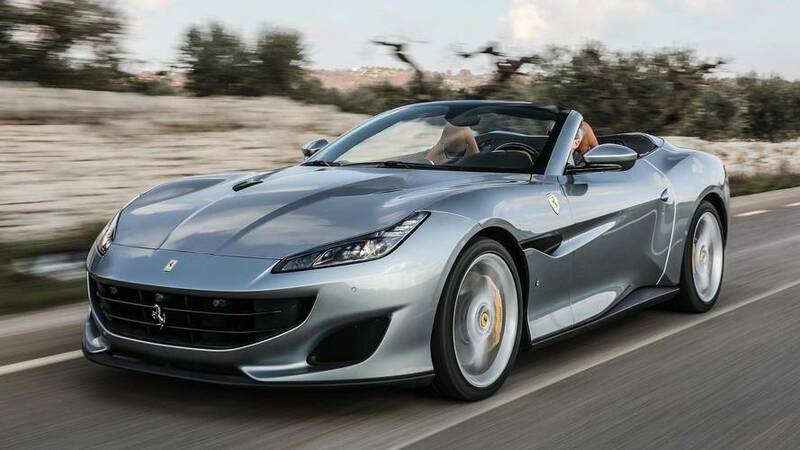 This boils down to a top speed of 199 miles per hour for the Ferrari Portofino, and 3.5 seconds to go from 0 to 62 mph. A third-generation electronic rear differential (E-Diff3) is integrated with the F1-Trac system in order to improve grip and handling. This is also integrated with the electric power steering in order to achieve a more immediate response from the steering wheel. And you know what? It works! 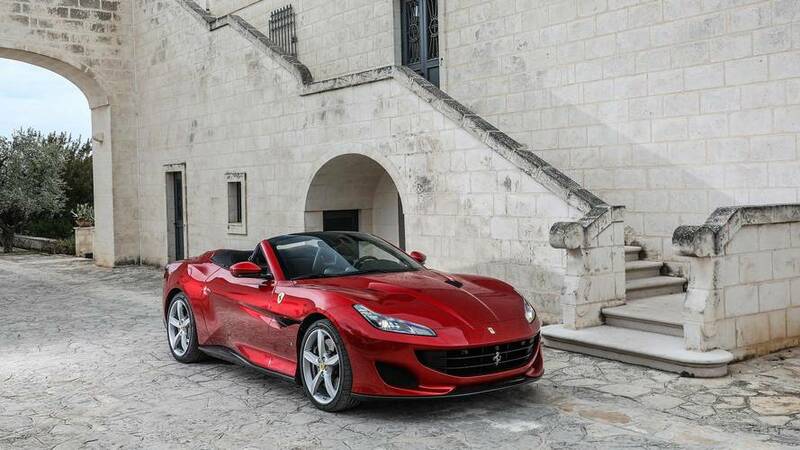 During a short test drive on the roads around Alberobello, the intermittent rain did not curtail my enjoyment of this convertible’s new personality. 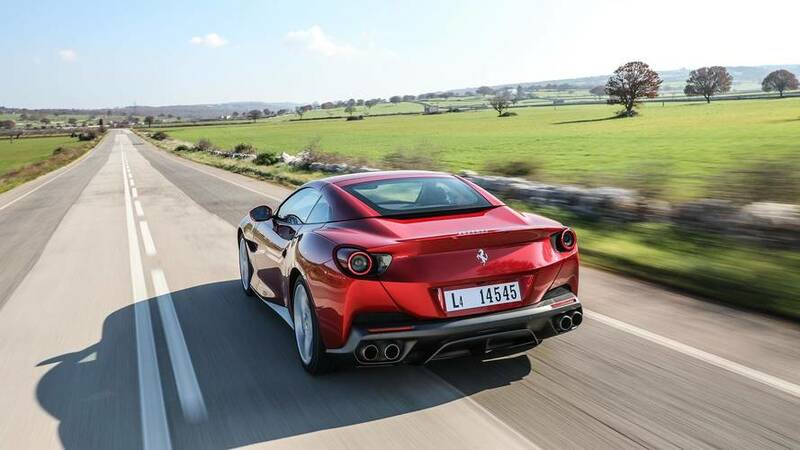 It is a long way from the T Handling Speciale, just as with the styling. 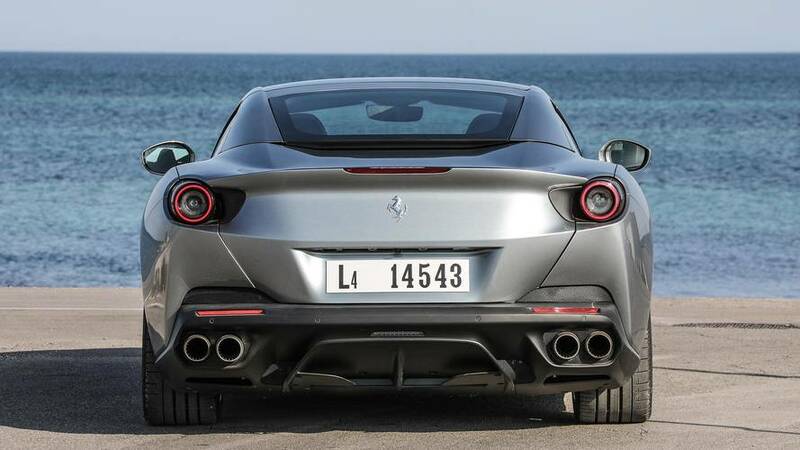 The Portofino’s chassis is 35-percent stiffer, and weight has gone down some 176 pounds; these factors make the front end much more accurate in corner entry. 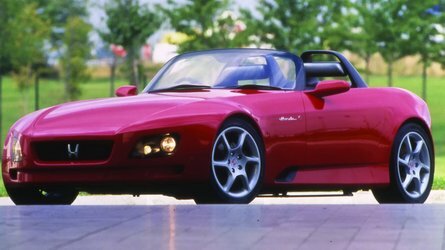 Its behavior through the curves is likewise exemplary, and even when you force the pace in tight, mixed driving conditions, that slight understeer that might have appeared in the past is now exceedingly rare. The braking system was not troubled in the least by my driving, even on wet asphalt, a situation that also allowed me to test the sensitivity of the electronics. With the Manettino dial in its "Comfort" setting, the Portofino doesn't allow the smallest slip, while it becomes more permissive in the "Sport" setting. In that case, it’s the driver who has to trust the electronics and cause some oversteer by flooring the pedal. 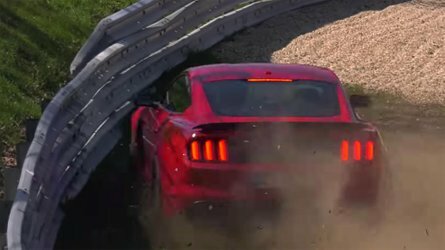 But the "fun times" are never as great as when you’re on a track in ESC OFF mode, the best paddock for studying a Ferrari's balance. What about the sound? A nice symphony, but far from the screaming naturally aspirated V8 of a few years ago. 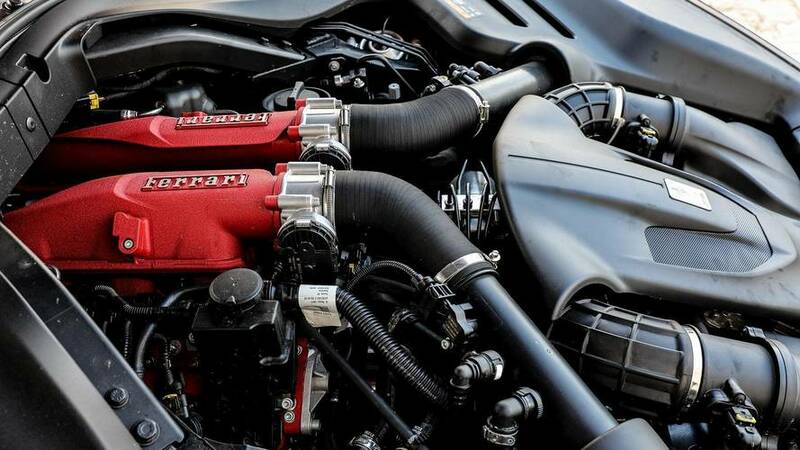 It's not a matter of the turbocharger, it's the Ferrari engineers’ will. 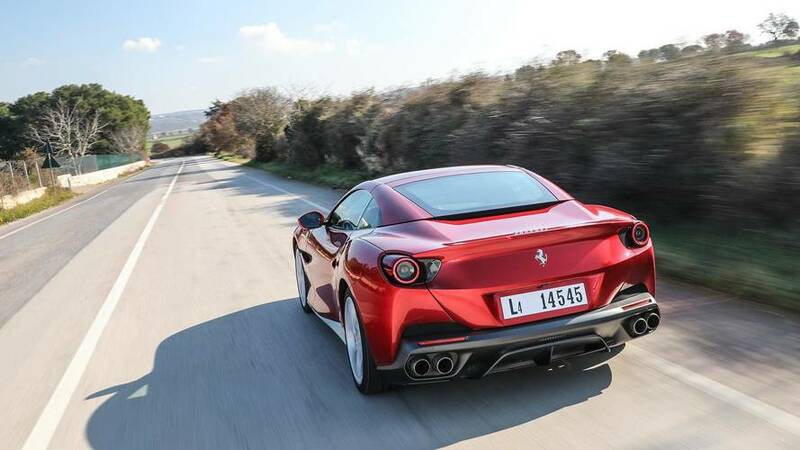 They want to keep considering the Portofino as a GT car, not as a true sports car. Therefore it focuses on civility over older models’ soundtracks, which, frankly, I miss somewhat. To go from Dr Jekyll to Mr Hyde, that is, to open or close the hardtop, takes just 14 seconds, and you can do so at up to 25 mph. The interior livability is improved in every respect, both in terms of the ergonomics and the front seats. 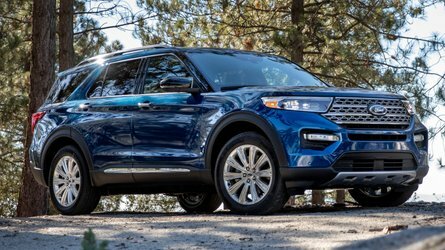 The new infotainment system, in fact, includes among its unprecedented features a direct link to the seat configuration by means of the "Comfort" button, right there on the side of the seats themselves. This is a beautiful, 2+2-convertible, with an exciting V8 in front and rear-wheel drive, the right electronics, and much more charm than before. It is also a GT car from Maranello that offers more all-round usability, while winking at the more extreme entries in Ferrari’s lineup. 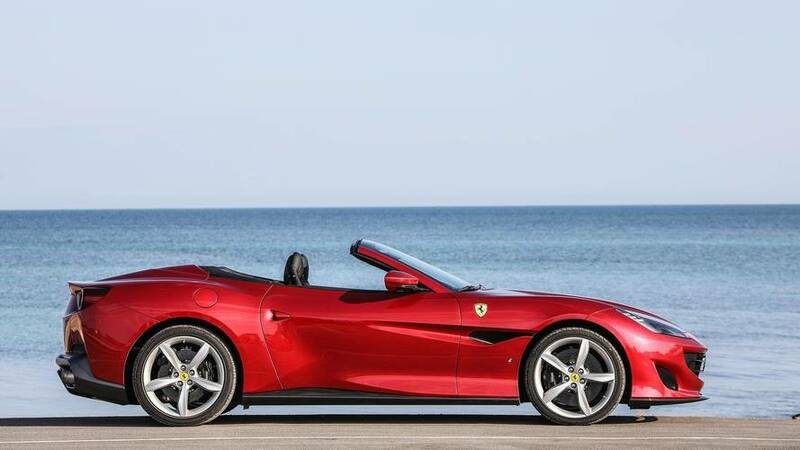 The prices are typically Ferrari, too, starting from €196,000 and with a very lengthy options list, including, among other things, 20-inch wheels with 245/35 front tires and 285/35 rear tires, and carbon-ceramic brakes with 15.4-inch front rotors. 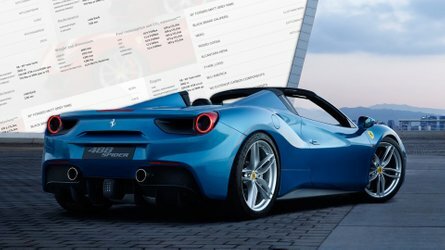 Check out what Ferrari owners themselves are saying about the new Portofino at FerrariChat.com.